Please share this article on with your friends. 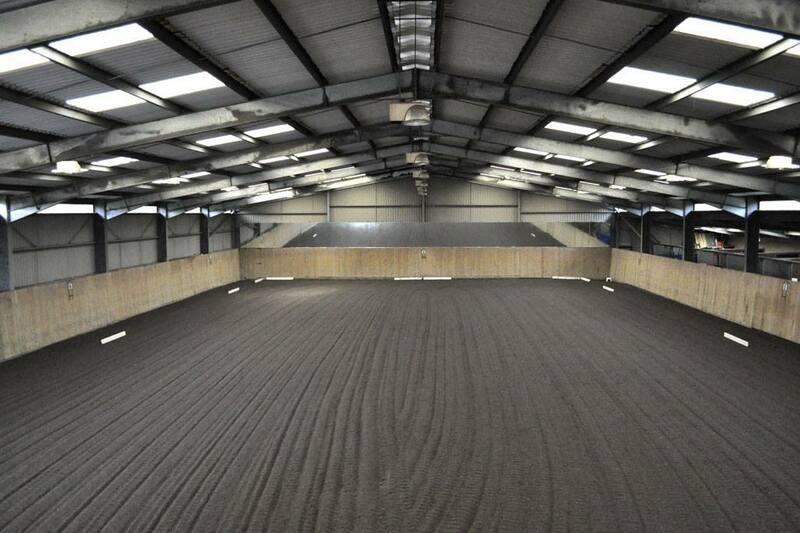 In the diagram, at the A end, you can see two curves joining the short end of the arena to the centre line. These curves were taken from a 10m and a 6m circle. 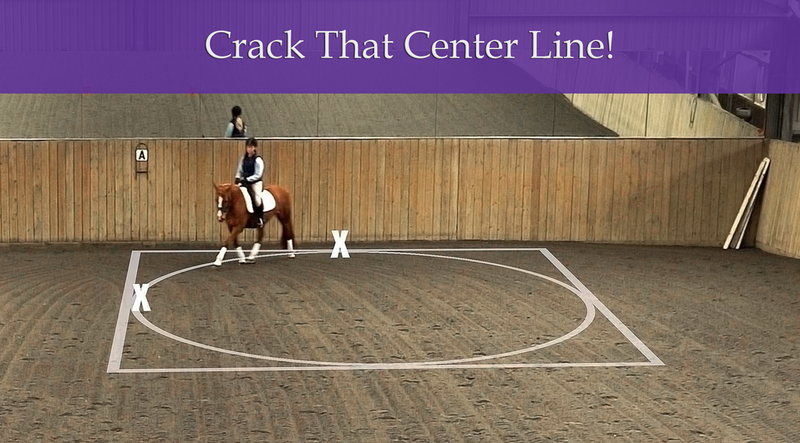 There are a number of tips I can offer to get you onto the centre line and straight. Choose the distance from the letter A you wish to start your turn. In effect we are choosing the radius of the quarter circle for the turn. 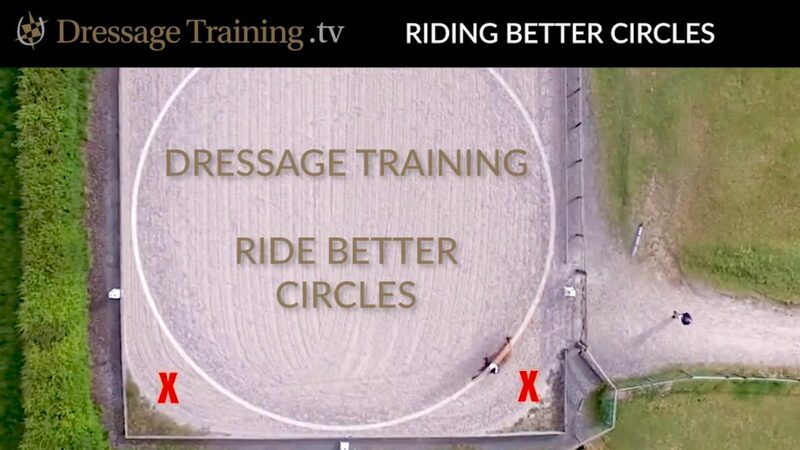 Choose a radius that you know your horse can make and stick to it for a while at least. Learn the angle at which you must leave the track for the radius you have chosen. This will give you the best chance to hit the centre line. This will take some practice. 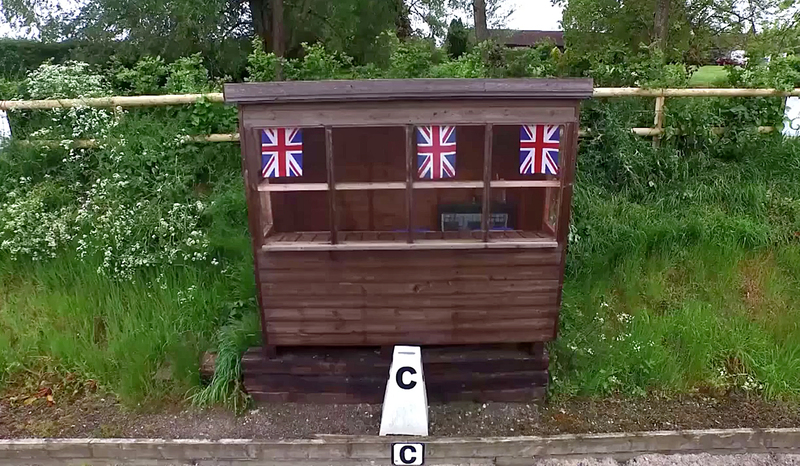 Once you leave the track, make sure you keep your eyes on C and be prepared to keep making small adjustments to get your horse straight onto the centre line. And KEEP turning… remember there should never be any drift, you are making a conscious turn, just the same as a corner. Once more think about the balance beam on the turn. 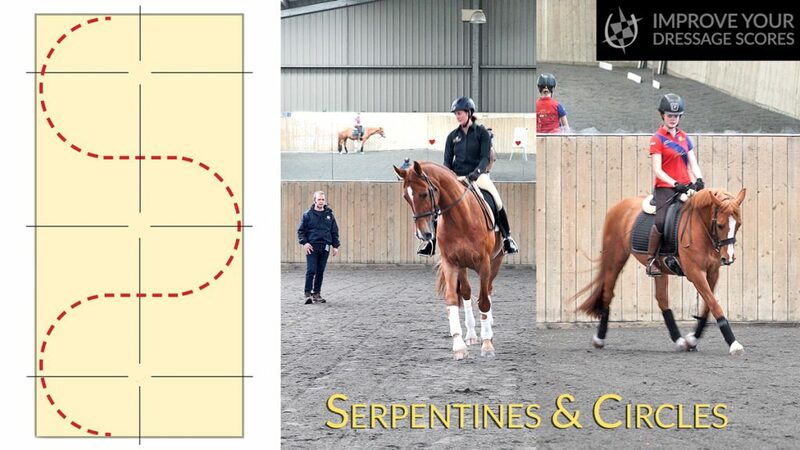 Your horse should step the path of the quarter circle equally balanced through both shoulders. If you are finding it difficult to make the turn, choose an easier radius. The horizontal bars on the centre line in diagram 5, mark where the curve meets the centre line. If you can correctly complete your turn at the marker, you will be set up to be straight – keeping the C marker between your horse’s ears. 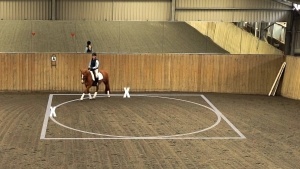 If you find yourself wobbling on the centre line, it is likely you have overshot by allowing your horse to drift and not completing the turn or you have undershot by not choosing the appropriate radius or distance from the A marker. After making it onto the centre line we have to turn left or right. Whichever turn you are making, we face the same decision, we have to decide the radius of the quarter circle we will use as the turn. This and other typical school movements are discussed in the book. Improve your dressage skills today and get a copy of Master Dressage 2nd Edition. 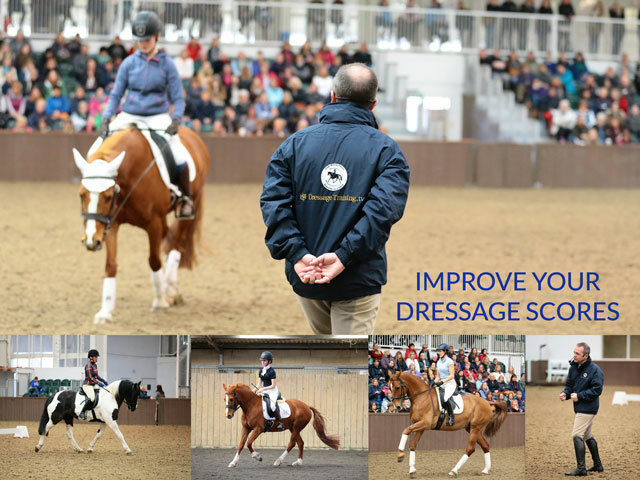 Become a member of Dressage Training TV to watch the Improve Your Dressage Scores course and many other training courses from Mary Wanless BHSI, BSc, Ali Wakelin BHSAI, RWYM, and RWYM coach Peter Dove.